Arthur Miller’s 1947 masterpiece “All My Sons” tells the fictional story of one of these more modest profiteers. Joe Keller has run a successful airplane parts business with his partner Steve Deever, with contracts that include the U.S. Army. When it is found that some of the parts are faulty, they both continue to push the parts through so not to destroy the business. Yet, 21 pilots in the war lost their lives due to these parts, and both are tried. Joe is exonerated while Steve pays for the crimes in jail. Various characters, including Joe’s son Chris and wife Kate deal with the fallout and the guilt of being associated with such heinous acts. Hayward’s Douglas Morrison Theatre is tackling the classic Miller morality play, running through Dec. 1st. And while the play is not as frequently produced as later works such as “Death of a Salesman” and “The Crucible,” “Sons” is truly considered the first of Miller’s great works, a play that catapulted the then 32-year-old author to stardom. It was this play, which ran for 328 performances on Broadway in 1947, which earned Miller a best author Tony Award. 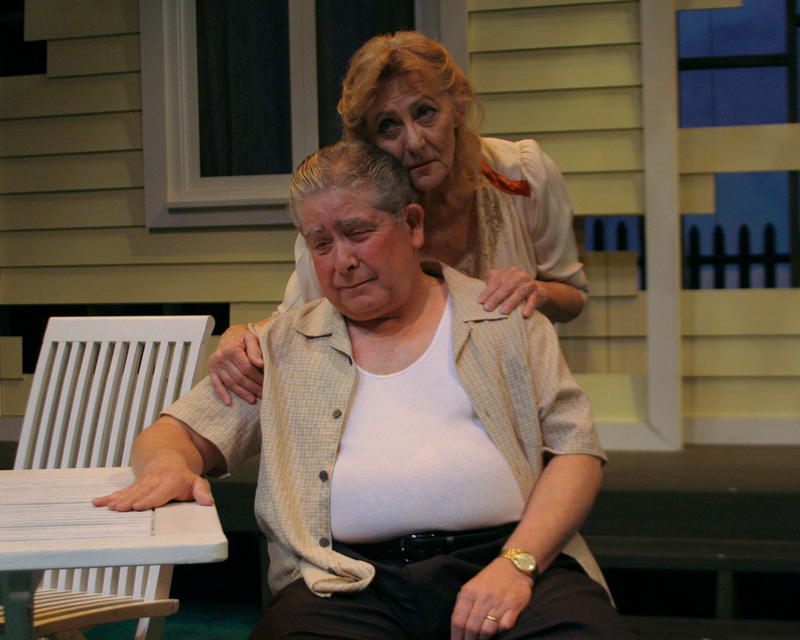 “All My Sons” has those ubiquitous elements found in plays like “Death of a Salesman,” namely the arcs of a family-oriented Everyman and his attempts to remain virtuous in spite of challenging professional moments. Susan Evans is the artistic director for the DMT, and the director of their production. She has spent the past year-and-a-half at the helm, and is focusing this particular season on family portraits. It is a portrait shaped greatly by the great Greek tragedies as well as Norwegian playwright Henrik Ibsen. Ibsen was most known for writing social issues, and also for slamming a play home with a shocking turn of events at the end. It was Ibsen’s “The Wild Duck” in 1884 that laid the blueprint for “All My Sons.” “Duck”is the story of a young man who returns home to his family, while horrid secrets are revealed. Ibsen’s work, as well as those Greek tragedies where the heroes are terribly flawed yet pursue honorable lives, is found in much of Miller’s work. While Miller never left a shortage of depth in his writing, Evans found what she feels is truly the heart of the play. The simple fact is that the play examines every character deeply, and there are very few that come out unscathed. Whether it is Joe’s denial of his own culpability, Kate’s denial of the fate of their son, or Chris’ denial of his father’s role in the 21 pilot deaths, each character fights to shut down what hovers above them. And yet, only with tragedy can hope be found.